We hired a new 3D Printer Technician! Carly is going to help us build and ship 3D printers, as well as help with tech support and other projects. 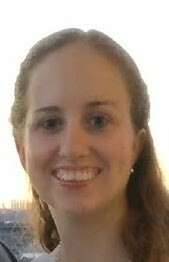 Carly Jenkins grew up in Fayetteville, Arkansas and graduated with a Bachelor of Science in Mechanical Engineering from the University of Arkansas in 2012. Carly worked as an aerospace and defense engineer for three years before returning to the University of Arkansas to earn a Master of Business Administration. Besides working on robots and tinkering with technology, Carly likes to play golf with her family and hang out with her fiancé and their new puppy, Grace. Carly currently resides in Fayetteville, Arkansas with her grandmother. If you need help with your 3D printer, you can contact her here and she'll point you in the right direction: cjenkins@nwa3d.com.